PokerStars’ agreement to acquire the Atlantic Club casino has expired, which may keep the top poker site from entering the U.S. online poker market. A deal between PokerStars and Full Tilt’s parent company, the Rational Group, and Colony Capital LLC, owner of Atlantic Club Casino Hotel, required that PokerStars have casino license authorization firmly established by last Friday, April 26. However, New Jersey gaming officials are not expected to make a final ruling on the matter until August. As such, it appears that PokerStars’ desire to purchase the casino may not advance forward, the Wall Street Journal reported. The companies agreed on a purchase price in December and apparently stipulated that licensing be completed in roughly 120 days. But PokerStars didn’t submit an application for an interim casino license until January. That application was found to be lacking necessary details and PokerStars eventually resubmitted its request. The New Jersey Division of Gaming Enforcement (DGE) ruled the application complete as of April 10. It will take 120 days from April 10, i.e. the early part of August, until the state’s Casino Control Commission is required to rule on PokerStars’ suitability to hold a casino license. Ninety days are allowed from the April 10 application date for the DGE to fully investigate the matter, while the commission is granted an additional 30 days to render the ultimate ruling. It appears as if the buyer and seller included the 120-day stipulation language in the agreement assuming that PokerStars’ application would be accepted promptly by state gaming officials. Whether PokerStars is to blame for dilly-dallying in completing the application or the New Jersey casino license application form requires extensive and time-consuming details is not known. What is known is that the agreement has lapsed. 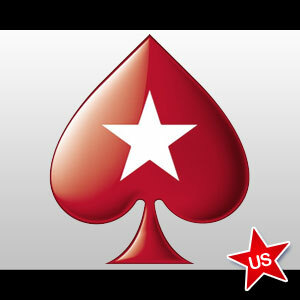 PokerStars is attempting to break into the U.S. online gaming market by acquiring the land-based casino. But the American Gaming Association (AGA) has strongly opposed that purchase, citing PokerStars’ flagrant violation of the Unlawful Internet Gambling Enforcement Act (UIGEA) as its reason. PokerStars responded by stating that the AGA is fostering an anti-competitive marketplace by attempting to prevent the company from joining in. The question of PokerStars’ suitability was going to be decided by New Jersey regulators. However, with no valid purchase agreement in place, that decision may not have to be made. Some industry insiders believe that a mere extension of time need only be agreed to by the parties. Yet others are speculating that Colony Capital may take this opportunity to place a “For Sale” sign on the casino and perhaps obtain higher offers. Colony Capital and PokerStars signed their agreement prior to Governor Chris Christie signing the online gambling bill into law in February. Though most expected that to occur eventually, now that it is a done deal and the state is preparing to launch online gaming platforms perhaps later this year, the value of the Atlantic Club may have increased. New Jersey is seen as the best opportunity for PokerStars to obtain entry into the new American online poker market, as the Garden State legislation carries no bad actor provisions intended to penalize alleged UIGEA violators. Nevada, which began its online poker regime Tuesday via Ultimate Poker’s launch of real money Internet wagering, does have bad actor provisions in its regulations. PokerStars is not welcome in the Silver State before 2018.